Note that we had students mowing the lawn. It might be a good idea to get them back to work again. This aerial is dated on the back–1950–and that date is clearly false. 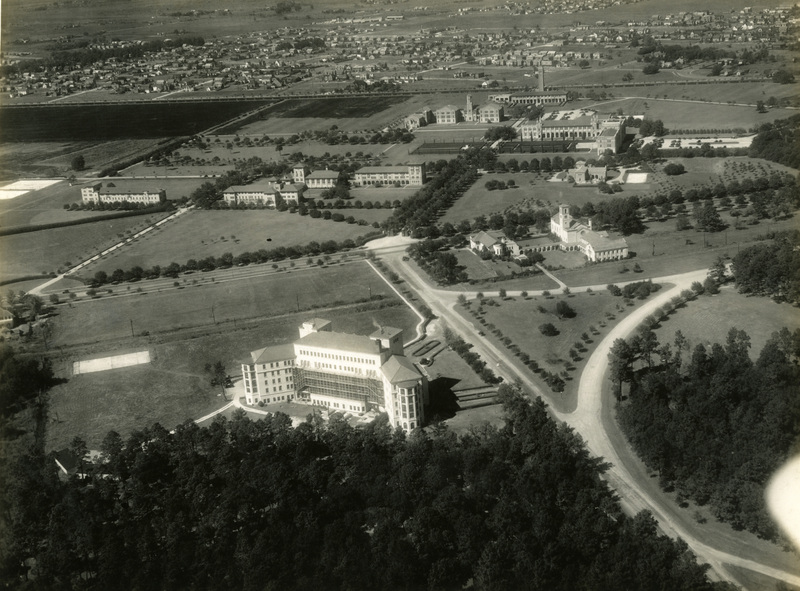 Ground was broken on Abercrombie Hall in August of 1947 and unless I’m badly mistaken there is no Abercrombie Hall in this picture. It must have been taken right around the time of the fire, either just before or just after. Too much excitement. I’ll be home tomorrow. So what is the building behind Mech Lab? Odd that the article would refer to the mech-e annex as T-shaped. It’s pretty clearly C-shaped in that picture. Perhaps the wing that made it a “T” was demolished after the fire, or added after this was taken (if well before the fire). I don’t think so. It’s always looked like that in Melissa’s aerials. My guess is that the newspaper writer made a mistake. Also — July 1945 — wow. Probably wouldn’t have been many students around except for Navy, and everyone knew that WWII was about to be over. Was there anything about it in the Thresher? 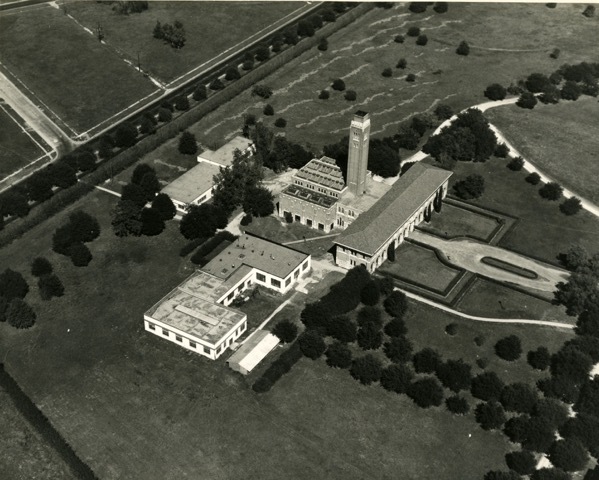 A 1938 Thresher article reports on a 10,000 square-foot addition to the Annex (on page 4 here: https://scholarship.rice.edu/bitstream/handle/1911/65548/thr19381021.pdf?sequence=1 ). I suspect that this new space is evident in the roof line in the aerial image posted above as a somewhat matching L-shaped contiguous structure extending out from the original. The fire is first mentioned in a front page story in the July 12, 1945, Thresher (https://scholarship.rice.edu/bitstream/handle/1911/65776/thr19450719.pdf?sequence=1&isAllowed=y) as well as the July 19 one that marmer01 mentiontions below. Looks like there were labs happening in the summer. There’s an article in the July 19 Thresher about how the labs should resume soon. Interesting that William Ward Watkin was the head of facilities, apparently. Yay for The Met! It’s almost always my first stop when I’m in NYC. The Egyptian rooms draw me upon entry, but after lunch it’s all about the ancient Greek and Etruscan exhibits. 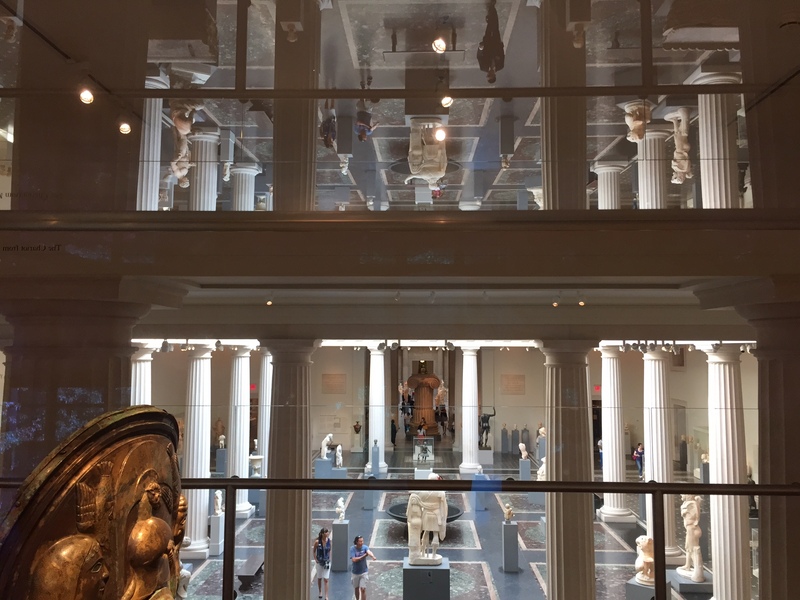 Have you had a chance to visit the Pierpont Morgan? Their collections are fabulous and seem as if they’d be right up your alley. Hope you had a great trip!